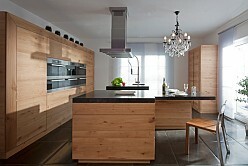 A country house style kitchen by BAUR WohnFaszination is the focal point of sophisticated living and provides an ambiance which appeals to the senses and guarantees a feeling of well-being. 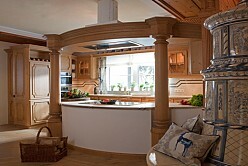 Our team comprising planning specialists and design advisors works with you to guide you competently through the planning stage of your country house kitchen. 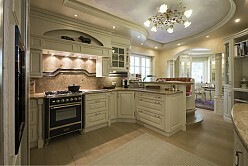 You have a choice between various styles, a large number of exclusive materials and the latest kitchen and kitchen appliance technologies. 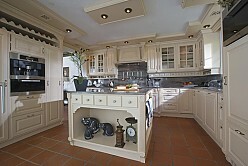 We offer you optimum service all round your country house kitchen, right down to the inch perfect transformation of your ideas and desires into reality. 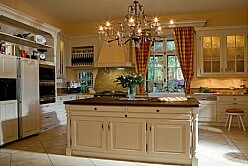 When may we make your dream kitchen come true? 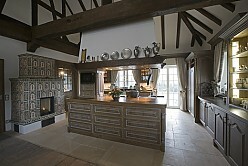 From the magical, playful country house look to the solid wood kitchen in purist, modern design - individuality and quality, the range of kitchens we offer stands out. 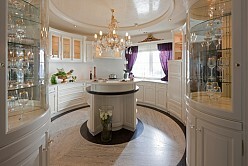 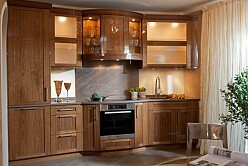 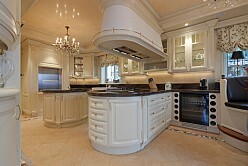 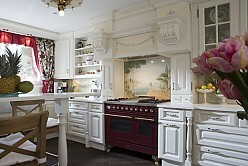 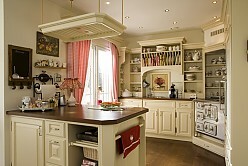 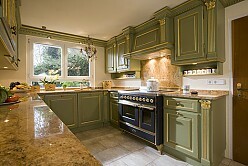 In the realisation of your country house kitchen, place your trust in the experience of the specialists!